Bands don’t garner an accolade like “most exciting rock & roll band in the UK right now” by simply writing a few tunes and playing a gig here and there. 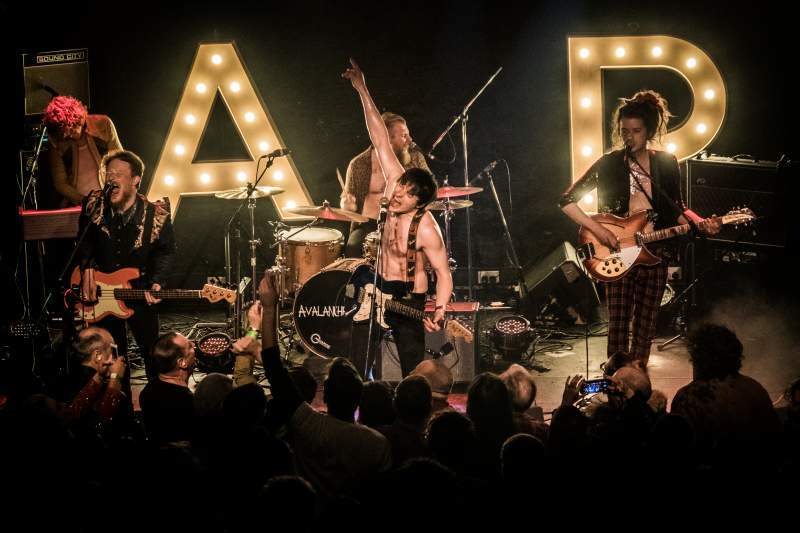 Teesside’s Avalanche Party are an incredibly hard-working band of brothers, relentlessly playing to sweaty packed out crowds across the country. The band’s journey to this point has seen their exhilarating, raw live shows become must-see events – an urgent and chaotic mix of punk and garage rock, never intended for the faint of heart. Latest single Million Dollar Man, released on Leeds’ Clue Records, is a chugging, semi-electronic stomper, ripping into the underbelly of wealth and desire with an industrial feast of guitars and synth. All of this makes the idea of catching the band in all their explosive glory even more rousing, as they continue to push the boundaries of their live performance. If you have extreme FOMO, head down to The Cluny on Saturday 15th December for Avalanche Party’s very last show of the year. Support comes from Newcastle’s dark indie-pop enthusiasts Ghost Signals…prepare for a very sweaty festive bash.